Standard photos look beautiful in albums and on the wall. They don’t, however, really stand out and capture attention. If you have a favorite picture you’d really like to show off or are looking for great ideas for personalized gifts, our photo cutouts are sure to please. 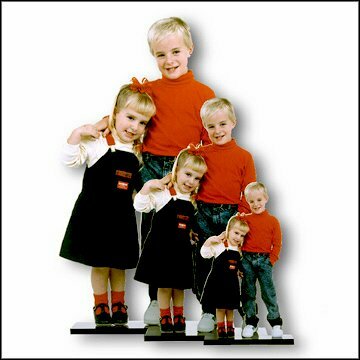 Photo cutouts are three-dimensional presentations of pictures. These photo sculptures take favorite features out of personal photographs and turn them into the stars in sculptures where they stand alone. They are perfect for use with family photos, shots of individuals and more. 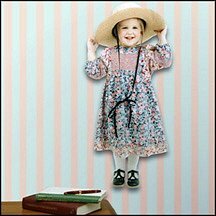 At FotoART, we are pleased to offer our customers access to photo cutouts, along with a wide selection of other ideas for personal photo gifts. We are a California-based business that specializes in nothing but turning favorite family photos into keepsakes and treasures people will cherish for years to come. Our photo cutouts, in fact, are protected to preserve longevity and then are mounted for easy display. Incredible products – We treat your favorite family photos with the same love and care you’d provide. We do this so you can rest assured your photo cutouts will look spectacular when they arrive. In addition to cutouts, we also offer an extensive product line that offers a nearly endless way for you to preserve and display your photos in a unique way. Our product line includes t-shirts, ties, tote bags, shoulder bags, snow globes and much more. We simply want you to have choice when it comes to creating photo gifts. Great pricing – While all of our photo cutouts are crafted with personal, expert attention, we don’t charge a lot for what we do. We’re here to make sure you have a way to preserve and display your favorite shots without having to break the bank. Fast service – The production time on our orders for photo cutouts is fast. Most orders are created within one day to three weeks of placement. The length of time varies based on the complexity and size of an order. Once photo gifts are ready to go, we ship them right to your door. Excellent customer service – We believe in providing our customers with the best service in the business. That’s why you can order photo cutouts online or contact us directly for personal service. We are here to help you in any way we can. Our return policy – Even though photo gifts are highly personalized, we do stand behind our work. If there is a problem with your order, just let us know right away and we’ll do what we can to make it right. If you’re ready to order your own photo cutouts, you can do so online. Just select your purchase and complete the process. We can accept your photos digitally for ease. If you’d prefer, we can help you over the phone and accept your photos through standard mail. Don’t forget to check out our other ideas for personal photo gifts either. We offer excellent solutions for any occasion. Our cut-out sculpture was even better than we expected! 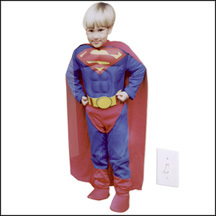 We have been ordering cutouts from this company for close to 27 years and are never disappointed! They make wonderful gifts, and we have many displayed throughout our home. Thank you! I bought this Sculpture for my daughter. She loved it. I was very well pleased with the workmanship. I would recommend it to anyone. I also ordered one for my niece riding on her horse. My sister-in-law has one and I really liked it. I ordered one and I absolutely LOVE it. My grandkids look as if they are going to step out of the cut-out and speak to me. It is so lifelike! I have shown it to a lot of people and they are amazed by it, too, and I highly recommend your company to them. Your craftsmanship is unbelievable! I thoroughly enjoyed the wedding sculpture of a friend's daughter's wedding group and gave it to her as a wedding gift! They were thrilled with the unique gift. We have a collection of photo sculptures since our children were 1 year old. Makes a very unique display. Top quality.